After my table cloth success, I decided I would make a little valance for my kitchen window. It changes the feel of the whole kitchen! I love it! And it looks great from the dining room, where the same fabric makes up my new tablecloth. 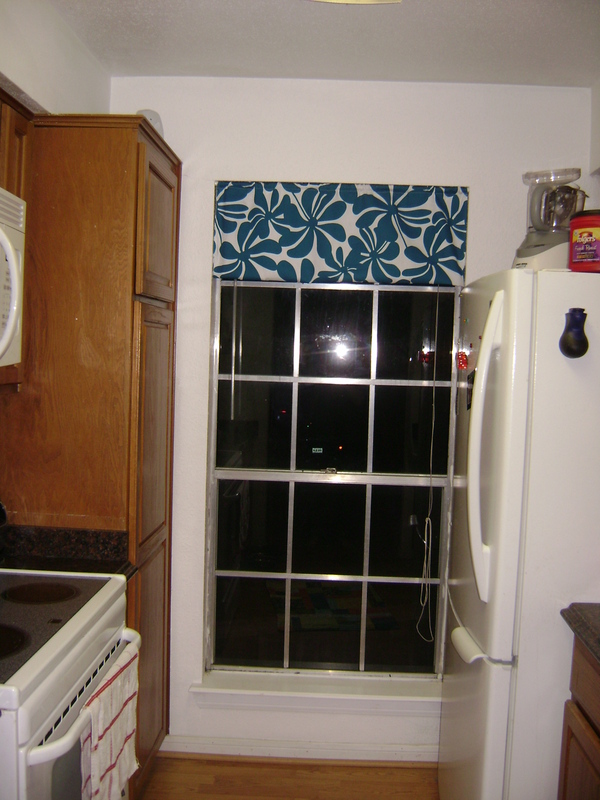 As you can see I have a narrow little kitchen, so a valance was the best choice for me. I feel like anything bigger would have been too much. 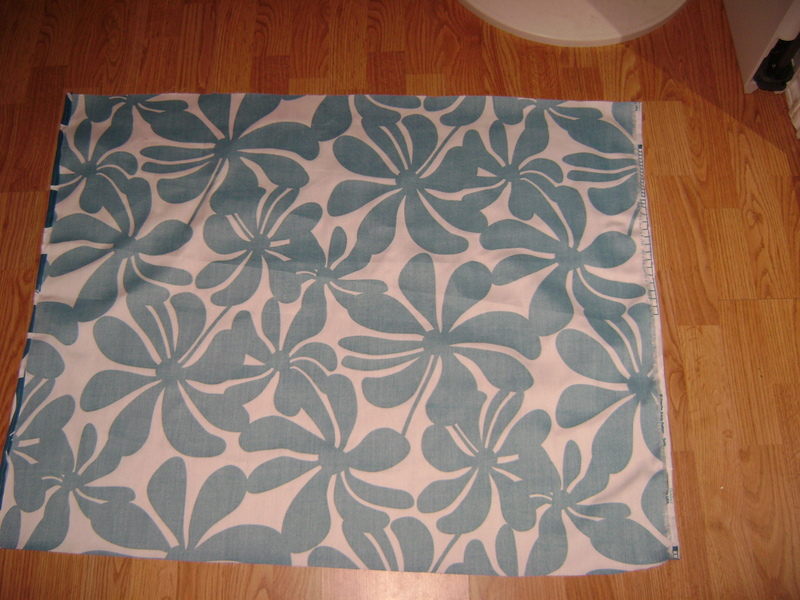 Here is what I did I cut a piece of fabric about 25 inches by width of fabric. 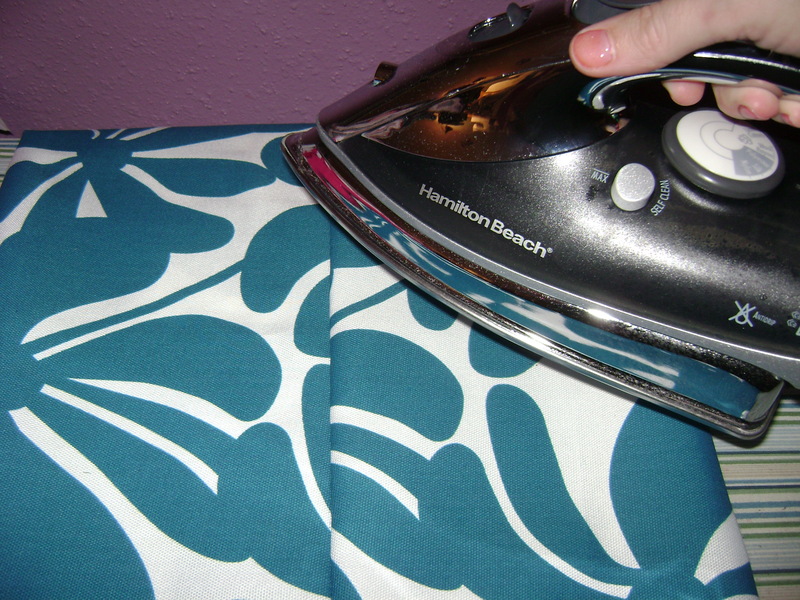 I wanted my valance to be about a foot tall. 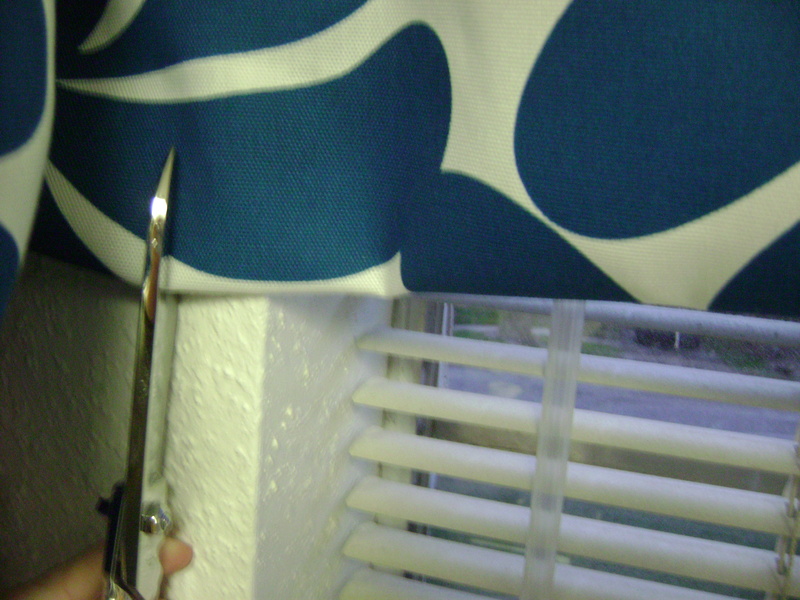 I thumbtacked my fabric up over the window and eyeballed the width. I added about 2 inches past the width of my window and cut the excess fabric off. 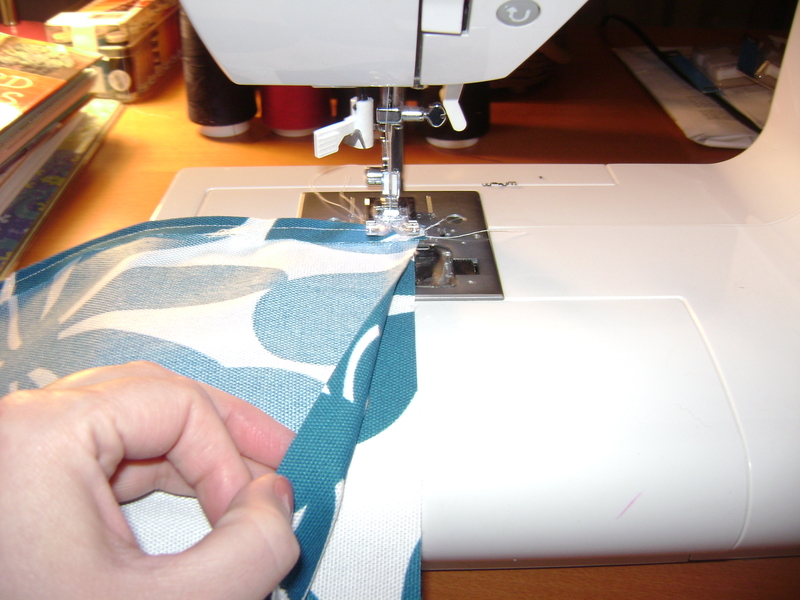 Take it down and get it back into the sewing area! 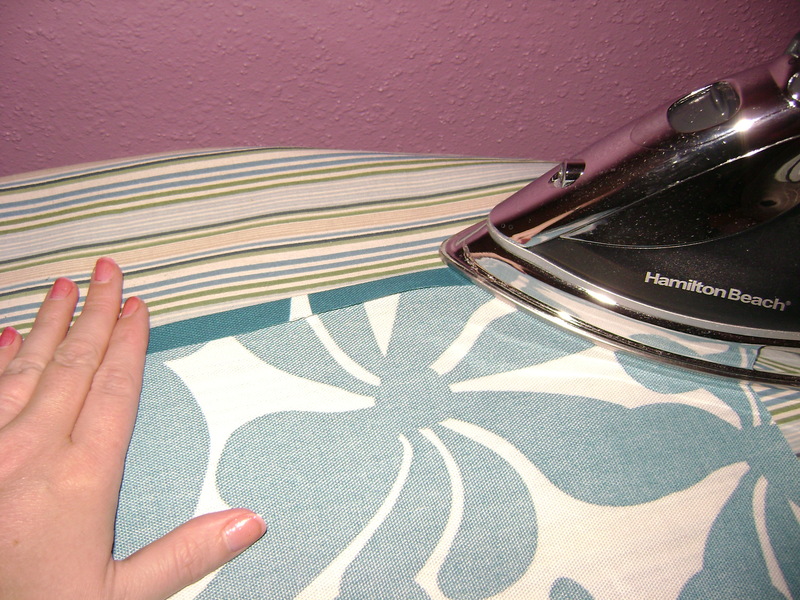 I pressed both the sides of my valance in a half inch and pressed. I then sewed that half inch in along both edges. In this picture I have sewed down both sides. On the right side I just pressed in my selvedge and sewed it down. Then I took the piece of fabric and folded it right sides together. I sewed a seam all the way across the top. I reversed it at the beginning and end of the stitch. 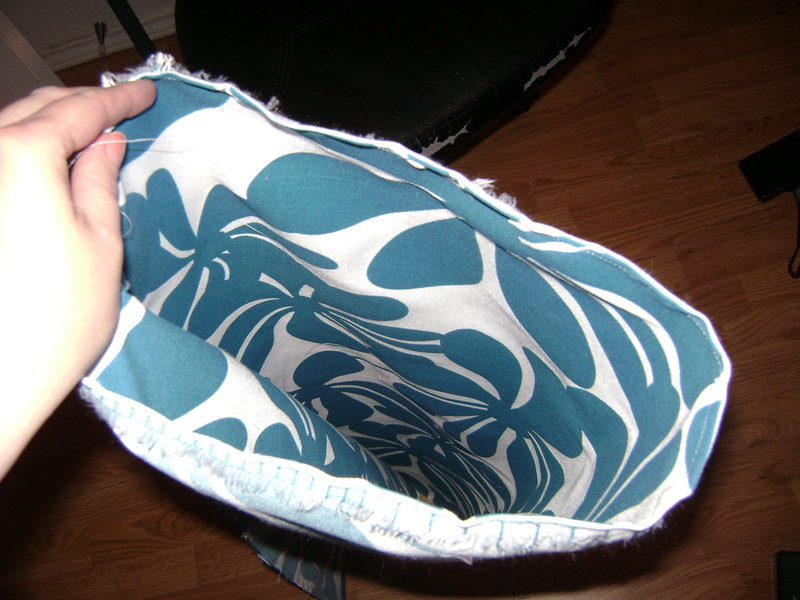 You should have a fabric tube with no raw edged. Go ahead and turn it right side out. I pressed that seam open, then I pressed it so that it was even across the top. I used a cheap tension rod from Target that required a one inch opening. 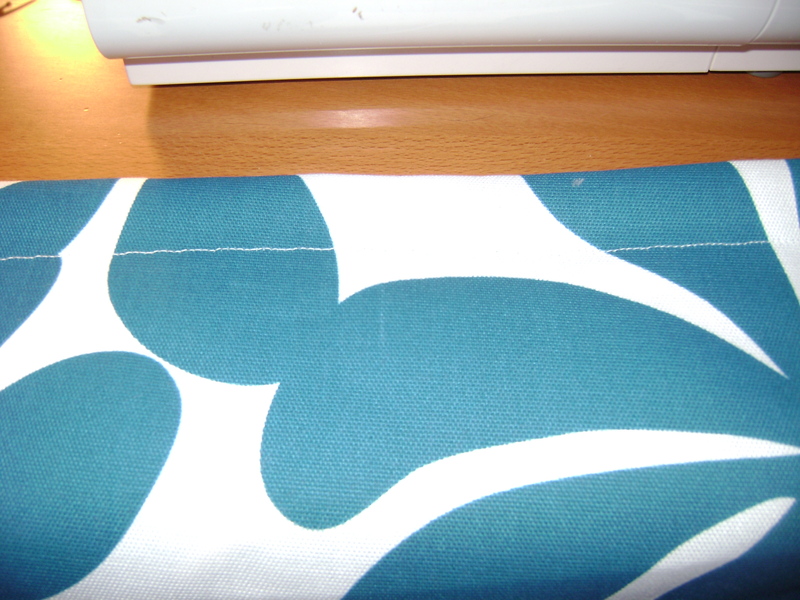 I followed along my guide to make a one inch seam below the top of the valance. 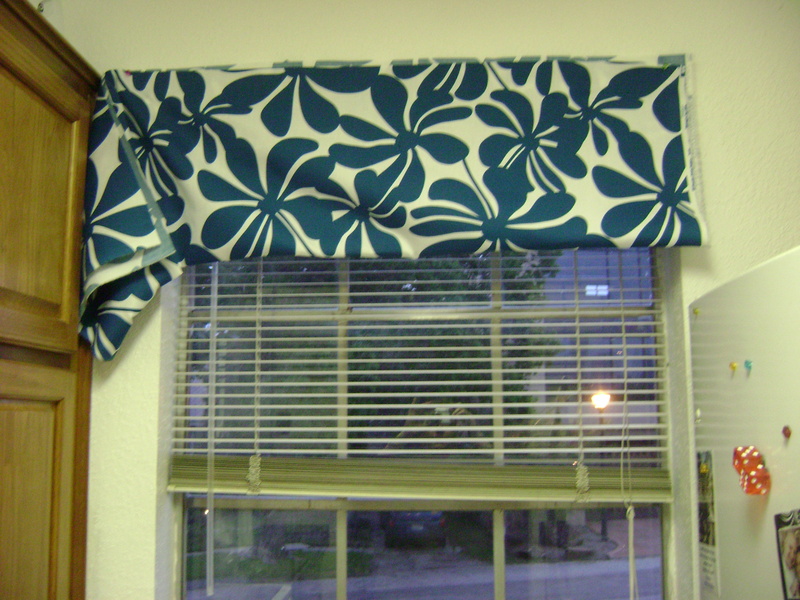 Your valance should look like this all the way across the top. I slipped my tension rod in the top and hung it up! All steps included this probably took about 20 minutes to make. I can’t believe I did not do this sooner! 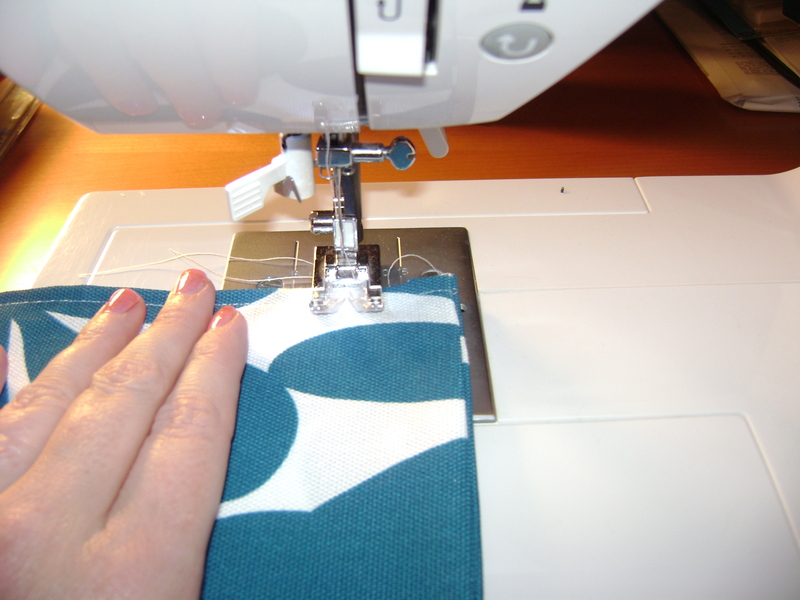 This entry was posted in Home Decor, Project Tutorials, Sewing FYI and tagged kitchen valance tutorial on April 16, 2012 by staciethinks. How cute Stacie.. I love the fabric too.. Thankyou for the tutorial.